It’s December! Which means that we are allowed to be officially excited for Christmas. There are so many things that we love about this month but here are just a few of our favourites. A large portion of the country will be experiencing snow this month and regardless of whether you find it heavenly or a hindrance, you have to admit that it is an essential part of December. Personally, we love it. The ground looks perfect, the windows are frosty, the trees are sparkling and everything has an air of magic about it. Christmas shopping! We all have a love/hate relationship with it. Yes, it’s stressful and busy and a bit elbow bashing at times, but we can’t help but love the excitement that comes along with it. Seeing everyone rushing to and fro with armfuls of bags and boxes just puts a smile on our face. And finally, Christmas decorations have got to be the biggest December love of ours. It’s the only time of year where it’s appropriate to put a tree in your living room and put hundreds of lights everywhere. We love the wreaths, the trees, the candles, the lights, the holly and the mistletoe. For us, that is when December comes alive and casts its magic. 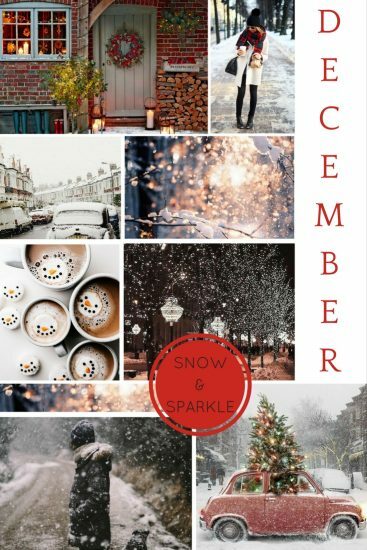 What is your favourite part of December?